Here's the photo I used as a reference for my tattoo artist to use to draw my tattoo of Meeko in 2006. Very good likeness of Meeko. 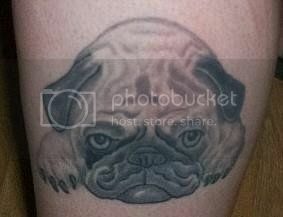 I know one day Yogi will be with me forever too, but I wonder how a black pug will transfer into a tattoo? 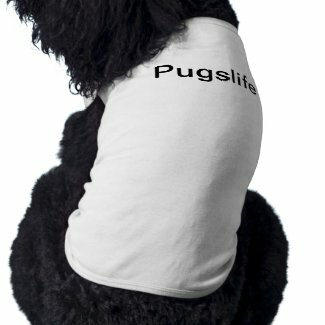 This is awesome, could we please feature you on our website www.luckypug.com. ? Which body part is it located on? where in the US you are located and would you like us to put the artists information? It's on my lower left leg. I'm in Washington State. The artist is Rob at Damaged Ink in Spanaway, WA.